We offer a modern approach to legal practice. The firm was established in January 2014 after directors Soné O'Donoghue and Grizel Marais saw a need for an approach where the aim is not to waste valuable resources. Soné O'Donoghue obtained an LLB degree from the University of the North West Potchefstroom in 2009 and was admitted as an attorney in 2010. Grizel Marais obtained an LLB degree from UNISA in 2010 and was admitted as an attorney in 2013. Leme Stander, our associate obtained her LLB degree from the University of the North West Potchefstroom in 2012 after which she completed her articles at Legal Aid South Africa gaining excellent criminal experience. She was admitted as an attorney in 2016 after which she joined our firm to run the criminal department. 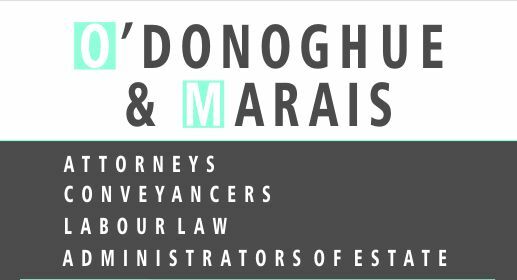 O’Donoghue & Marais Attorneys is a young and dynamic firm with ethics and integrity. We practice in all areas of law but especialy pride ourselves in our knowledge of labour law (currently the only firm specializing in this field in our area), family law, deceased estates,conveyancing and criminal matters.